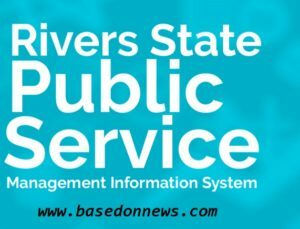 Rivers State Pensioners Biometric Data Capture 2019 Application Form Portal is out, Documents to upload and how to upload and apply or register via RivPuSMiS (Rivers State Public Service Management Information System – This post contains guidelines on how to apply or register successfully for Rivers State Pensioners Biometric Data Capture Exercise 2019. Truly, the application form and official portal is out for all that are concerned to register. It is mandated that all Rivers State Pensioners must do their Biometric Data Capture as soon as possible. Try to read accordingly to avoid missing any step on RivPuSMiS (Rivers State Public Service Management Information System. In 48hours you can now proceed to pensions office ministry of finance to commence and complete your process of opening an account, etc. Once the process in pension’s office, ministry of finance is completed you will be invited for your physical verification and biometric capture. Retirees are to fill and submit the pensioner’s biometric data capture exercise form online and wait for rigors for your details to be confirmed on the database.